It’s not quite 500 miles, but for 12 hours, the team at OnePointHealth will be walking 100km in support of the Great Walk Foundation. 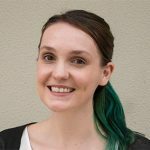 Physiotherapist Chelsea Carratt said the team are taking on the challenge to support Director and Podiatrist Trent Baker, who has tackled the walk from Bathurst to Blaxland for a decade. “In support of the Great Walk Foundation, OnePointHealth will be completing a 100km 12-hour non-stop Alter-G walking challenge,” she said. Each year, the Great Walk Foundation walk for five days over the Great Dividing Range and have raised over $1 million for local charities, creating plenty of sore feet that Mr Baker has the pleasure of keeping on track. The AlterG anti-gravity treadmill is a new piece of medical technology that is becoming increasingly popular in the rehabilitation of many conditions. “It was designed to change the weight of users through differential air pressure, a technique developed by NASA for their astronauts to exercise and maintain conditioning in space,” Ms Carratt said. “A big blower at the front followed by a specially designed bag creates an environment chamber where the pressure is slightly greater than the outside atmosphere pressure. “The positive pressure inside the chamber creates a gentle lifting force. “By reducing gravity’s impact on the body, it allows the user to select any weight between 20 per cent to 100 per cent of their own body weight. 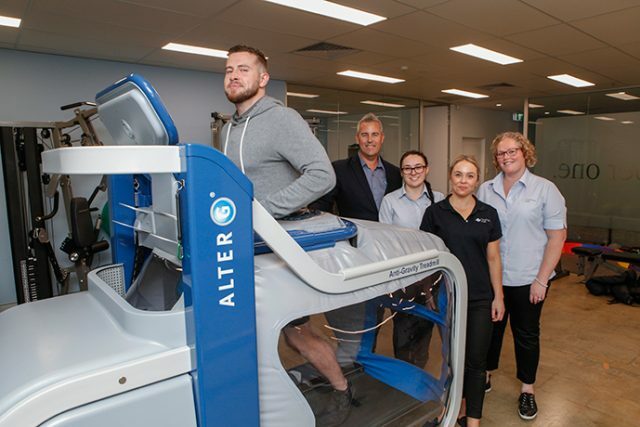 The AlterG anti-gravity treadmill is increasingly being used by Australian healthcare practitioners for sporting and workplace injury rehabilitation, post operative rehabilitation, high performance and conditioning, weight loss and even help with improving function and muscular strength in those with knee osteoarthritis. More information on the AlterG and raffle tickets for the chance to win prizes while supporting the Foundation, can be found at OnePointHealth in Penrith.